Born in Hiroshima in 1955, Toshio Hosokawa is Japan’s pre-eminent living composer who studied composition with Isang Yun, Brian Ferneyhough and Klaus Huber in Germany. He creates his distinctive musical language from the fascinating relationship between western avant-garde art and traditional Japanese culture. Performances of his works span the east and west, and his orchestral works include Circulating Ocean (Vienna Philharmonic, Salzburg Festival, 2005), Woven Dreams (Cleveland Orchestra, Lucerne Festival, 2010), horn concerto Moment of Blossoming (Berlin Philharmonic, 2011), Klage (NHK Symphony Orchestra / Dutoit, 2013), Nach dem Sturm (for Tokyo Metropolitan Symphony’s 50th anniversary, 2015). Many of his music theatre works have become part of the repertoire of large opera houses including Vision of Lear (Munich Biennale, 1998), Hanjo (with Anna Teresa de Keersmaeker at La Monnaie Brussels and Festival Aix-en-Provence, 2004), Matsukaze (with Sasha Waltz at La Monnaie and Staatsoper Berlin, 2011), Stilles Meer (Staatsoper Hamburg, 2016), and Erdbeben. Träume (Staatsoper Stuttgart, 2018). Toshio Hosokawa has been a member of the Academy of Fine Arts Berlin since 2001 and a fellow of the Institute for Advanced Study in Berlin since 2006. 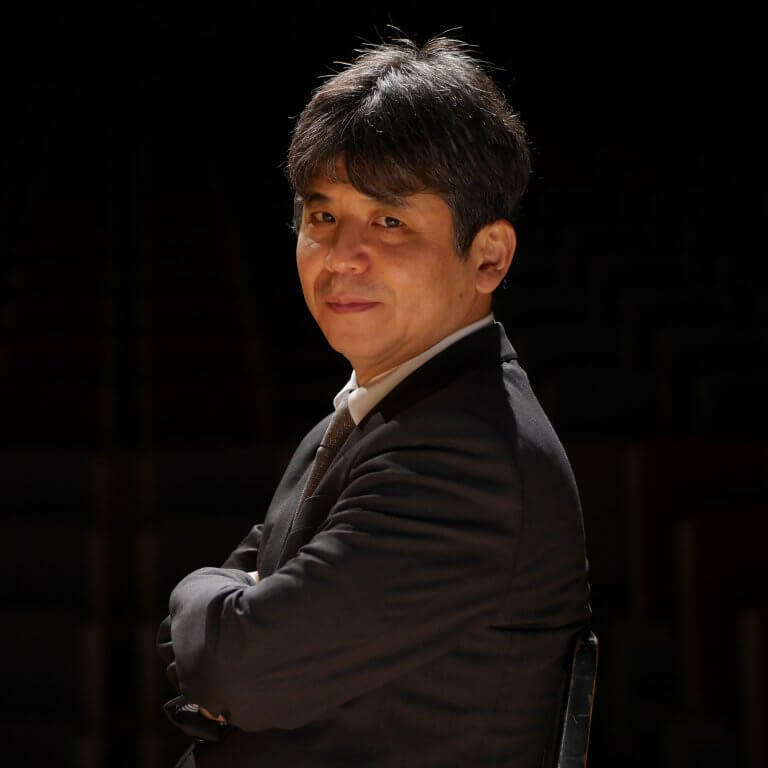 He is currently Artistic Director of the Takefu International Music Festival and Suntory Hall International Program for Music Composition.